Zachary Palace, MD, completed his undergraduate training at Yeshiva University, where he received his Bachelor of Arts degree in Biology and Hebraic Studies. He attended the State University of New York-Downstate Medical School, where he received his MD degree. 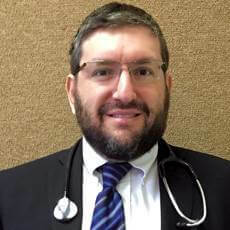 He completed his residency training in Internal Medicine as well as a Fellowship in Geriatric Medicine, at Staten Island University Hospital, and is board-certified in both specialties. He is credentialed as a CMD by the American Medical Directors Association (AMDA). Segment overview: InSight™ is the latest product from EarlySense, the market leader in contact-free continuous monitoring. Dr. Zachary Palace has been using EarlySense products at the Hebrew Home at Riverdale. Since using EarlySense, his facility has reduced the frequency of patient falls by almost 40% and has seen a significant reduction in the number of re-hospitalizations. 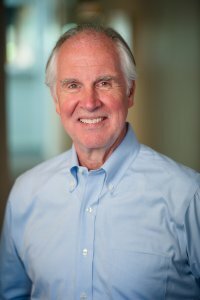 Guest Bio: A graduate of Washington & Jefferson College with an extensive entrepreneurial background and having served in public office in Brooklyn, NY for two terms, Mark Hollis was a practice management consultant to more than 600 practices in the New York Metropolitan for 25 years before cofounding MacPractice in May 2004. 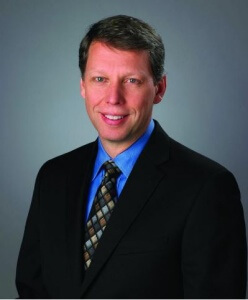 With 35 years’ experience, Mark is an industry expert who represents MacPractice as one the top 40 EHR vendors in the Electronic Health Records Association (EHRA), the national trade organization that advises and consults CMS, HHS and the ONC. Mark’s company is also a member of Commonwealth Health Alliance, a nonprofit comprised of top EHR vendors who are constructing a national patient ID system as a foundation for national interoperability. Segment overview: Mark Hollis, CEO of MacPractice, a software security and healthcare technology expert, discusses what physicians and practices should know about encryption and how it plays an important role in their organization’s success. Segment overview: Brady Ranum, VP of Product and Strategy for Dizzion, discusses how this company provides cloud delivered desktops that are fully-managed from end to end and leverage purpose-built infrastructure designed specifically for the demands of desktop delivery, especially in sensitive industries like healthcare. 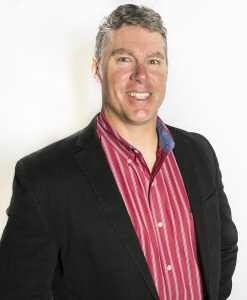 Guest Bio: Neil Smiley, a serial entrepreneur with a passion for transforming industries with data-driven solutions, founded Loopback Analytics to deliver an advanced Software-as-a-Service platform healthcare providers can use to prevent costly readmissions. Neil began his career as an Accenture consultant and holds a computer science degree from Dartmouth College. Segment overview: In this Health Supplier Segment, Loopback Analytics CEO and Founder, Neil Smiley, discusses big data’s new role in bundled payments, and how analytics will drive better patient outcomes.